From 1858 to 1947, India was under the control of the British Crown. The government was solely ruled by the British, and no Indian held a seat of power during the occupation. Indians were severely oppressed by the British, which upset significant figures such as Mahatma Gandhi (BBC). In the 1920’s, Gandhi began his Free India campaign, working with many by his side, including Kuladhar Chaliha. Kuladhar Chaliha was one of the most prominent and revered freedom-fighters during the British occupation of India. He worked alongside many other outstanding leaders, including Jawaharlal Nehru (First Indian Prime Minister) and Mahatma Gandhi. He dedicated all his time and effort into freedom-fighting and was even sent to jail at one point with Gandhi for his protests (“Gogoi recollects”). He was especially notable in his home state of Assam, being the first elected Speaker of the State Assembly in the post-Independence era. He became a member of the State Constituent Assembly too. 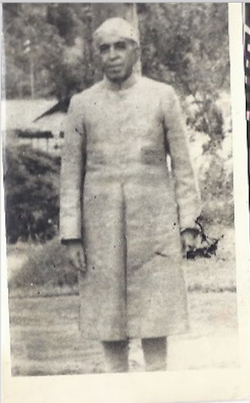 Due to his hard work during the Free India movement, Kuladhar despised the British, which made it very hard for Surajit to convince him to allow him to study in the UK (“125th Birth Anniversary of Kuladhar Chaliha”).